Properties in Clive average 4.6 out of 5 stars. 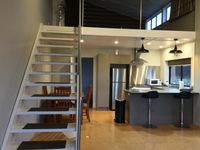 Cape Vista - Seaside Holiday Home Only Ten Minutes From Napier! Property 3: Cape Vista - Seaside Holiday Home Only Ten Minutes From Napier! Property 10: Tramal Studio Apartment semi rural outlook. Property 38: Historic Colenso Cottage - heritage listed. A special piece of NZ history. 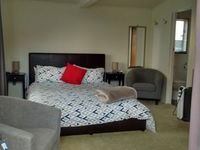 Property 43: Ahuriri Townhouse modern and spacious ,free wifi.